Tata Motors has announced the launch of the Nexon AMT or as the company likes to call it HyprDrive. The petrol with the AMT is priced at ₹ 9.41 lakh while the diesel is priced at ₹ 10.3 lakh (both prices ex-showroom Delhi). The Nexon AMT is only available with the top-end XZA+ variant on both the petrol and the diesel. The Nexon AMT adds a bit of pressure to carmakers like Ford, Maruti Suzuki, Mahindra who have cars in this segment although only the TUV300 is available with an AMT. The company started bookings of the car already in April. Now, the Nexon AMT doesn’t look any different to the standard car, but the AMT variant brings in a fresh outlook to the subcompact SUV. Tata says that the Nexon AMT is the first car in India to offer driving modes along with an AMT unit. Additionally, the Nexon AMT also gets a ‘creep’ function, which helps with the driving in heavy traffic, the stop-and-go kinds. Tata has also fitted the Nexon AMT with smart hill assist, which keeps the car from rolling back when it begins to move on a slope. Plus, there is an intelligent transmission controller which offers features such as anti-stall, kick-down and fast-off. It gets features like a 6.5-inch floating dash-top touchscreen infotainment with next-gen smartphone connectivity and an exclusively tuned 8-speaker system from Harman-Kardon, for a surround sound theatre like experience. There’s Android Auto available too. 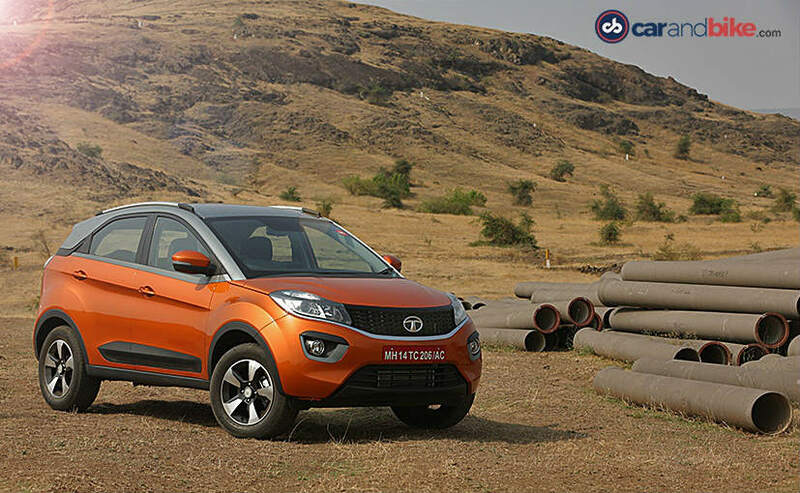 Along with the launch of Nexon AMT, Tata Motors has announced the launch of its online car customization platform – ‘IMAGINATOR’ for the subcompact SUV. The Imaginator is a platform that offers the flexibility to a user to enhance the look of his/her car by visualizing and adding the required accessories. This platform also enables a seamless online accessories purchase which in turn enhances the overall customer experience.